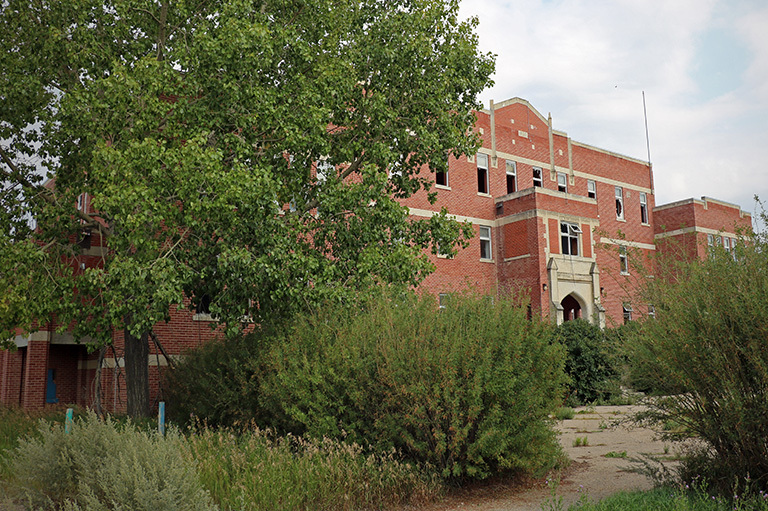 Muscowequan Residential School in Lestock, Saskatchewan, is on the 2018 Top 10 Endangered Places List. Of the almost two dozen residential schools that operated in Saskatchewan, Muscowequan — operating from 1889–1997 — is one of the last remaining. The imposing three-storey brick building which now stands on the site was erected in 1931, after the previous building burned to the ground. The school had a profoundly traumatic impact on generations of Indigenous peoples in the Qu’Appelle Valley and beyond. It is a wide-spread belief amongst local Indigenous communities that the former school should be preserved as a site of memory and conscience for all Canadians. Abandoned since 1997, the school is deteriorating and evidence of its dark history is being lost. The Muskowekwan First Nation — on whose land it now sits — does not have funding to implement its vision for a museum and site of memory in the rehabilitated school. The First Nation recently received a grant to board up the vast building’s windows, but vandalism and deterioration continues.